The Dublin Bike Scheme is being lauded as a ‘huge success’ just 11 months after it began and as the one millionth trip is about to be taken. Labour Councillor Andrew Montague, who first proposed the scheme, said: ‘Our target was to sign up 2,000 members in the first year but in less than a year we’ve signed up 37,000 members’. 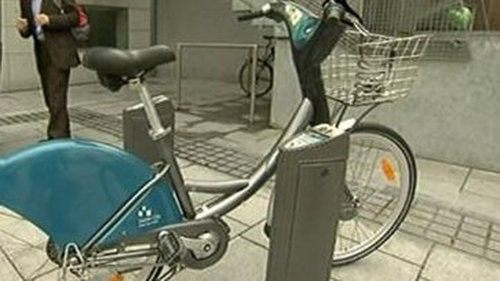 The Dublin City Council member said the scheme will get even better with the introduction of more bikes and more stations. Mr Montague said there are hopes to extend the scheme across the capital and even into the suburbs. The initiative was launched in September 2009 by Dublin City Council in conjunction with a French advertising giant who funds the operation in return for advertising space. 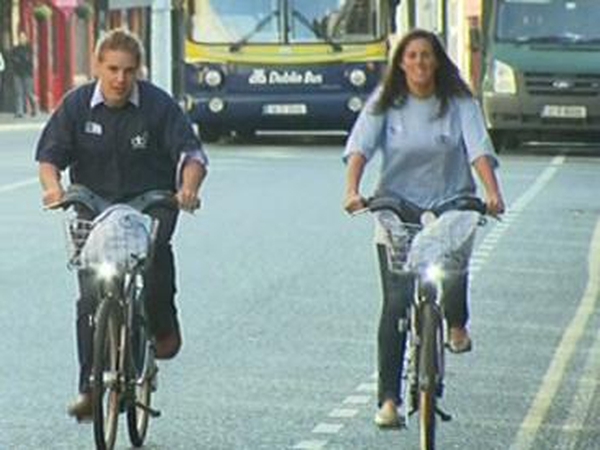 The 450 silver unisex bicycles are available for use by the public at 40 locations from the Mater Hospital in the north of the city to Grand Canal Street in the south from 5.30am to 12.30am. The scheme is designed to encourage cycling and to help people move around the city streets quickly. A short journey lasting 30 minutes is free but six hours costs €4.50 and its €2 for every half-hour after that. Would-be cyclists also need to leave €150 deposit using either a credit card or a bank draft, which will be used if the bike is not returned. So far there has only been one day that saw bikes not being available for hire. In June the system experienced a technical fault with the terminals, which meant that no one was able to hire a bike for a few hours. The scheme is similar to the one that has been operating in Paris, Copenhagen and 16 other cities.